Groups around England and Wales (the Scottish process is different and is not covered in this briefing) will go to their local Magistrates’ court and ask it to start the process of a criminal prosecution against the Secretary of State for Defence (the corporate office not the individual incumbent) for being engaged in a conspiracy to commit a war crime. The court will predictably deny the issue of a summons and may dismiss it out of hand; but whatever the decision is, groups should try to find out what the reasons for dismissal were and to get them in writing from the court. In the best case scenario the Magistrate will treat the ‘laying of information’ with the respect and seriousness it deserves and will take the opportunity to write to the Attorney General (using a model letter provided). This is because such serious crimes have to have the consent of the Attorney General in order for proceedings to begin in the courts. If the Attorney General (A-G) refuses his consent, or it is deemed to be vexatious litigation, or if there is any other attempt to prevent these crimes from being addressed seriously by the courts, the people involved in the project will consider approaching the International Criminal Court, which has international jurisdiction over these crimes. Also, we will lobby Parliament to demand an adequate explanation from the A-G for his refusal to consent. 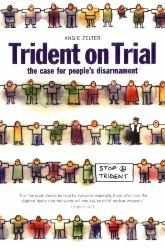 At the very least, attempts to bring the matter before the courts will inform more people about the illegality of weapons of mass destruction and help provide the public pressure needed to de-legitimise the UK’s nuclear weapons. The people who initiated the project were Angie Zelter, George Farebrother (unfortunately now deceased) and Robbie Manson, a lawyer and author of ‘Pax Legalis’. Angie and Robbie are now co-ordinating the campaign and are being assisted by David Mackenzie and Kate Holcombe. Reports of each group’s progress should be sent to PICAT via Angie at reforest@gn.apc.org and they will be put up on the PICAT website so we can all share information and be involved in discussing the ways forward. You can read a Legal Briefing (see Legal Briefing) outlining our legal rights and duties in laying an information and seeking a summons for the Secretary of State for Defence. The crime in question is conspiracy to commit a war crime under the ICC Act 2001. Many of us, in Trident Ploughshares have already been to our local police force and asked them to investigate the crimes associated with Trident but have not had a satisfactory response. See http://picat.online/reporting-a-crimetrident-at-uk-police-stations-2/ for one example of a response from Thames Valley Police. This could be mentioned to the magistrates as it shows that we have previously reported the crime to the police, and as they are refusing to take action we have had to come to the courts ourselves. Concerned people in the UK are encouraged to form a group of supporters in their area (but you can also take part as a lone individual too) and prepare personalised letters and documents based on those PICAT has drafted. They will make sure that their local MP, MEP, Councillors, Police and local press are informed at every stage of the process and will keep records of the process and write a report, including copies of any letters sent and received, any court appearances and decisions handed down by the courts. These will be collected and displayed on the PICAT website so we can all learn from each other. The downloadable/printable PICAT letters in Word doc format have a blank header space, leaving room for people to put their own individual or group names and addresses. 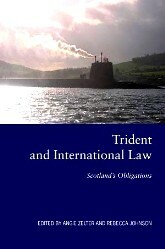 The group (or individual) now writes to the Secretary of State for Defence seeking a solemn declaration that the UK’s Nuclear Weapons will never be used to launch an indiscriminate and/or disproportionate attack (see doc-1-letter-from-group-to-secretary-of-state-for-defence along with doc-1a-trident-weapons-declaration). The letter can be signed by as many local people as are willing to show public interest in the issue. After 4 weeks any responses sent to Angie by the groups will be analysed (by Robbie Manson, Angie Zelter and people who become involved in the project) and publicised. There may of course be no response. In any case the response is, unfortunately, likely to be unsatisfactory and so the next step takes place. As well as (or instead of) moving to the subsequent steps described below, groups may decide to use the response as a tool for other campaign contexts, such as lobbying, public statements made at the time of non-violent direct action, demonstrations, etc. At any point groups can stop. An appointment at the local Magistrates’ Court should be arranged in order to submit to the court ‘A Criminal Information’ (see doc2-a-criminal-information-for-the-magistrates-court-new). This can be done either in the name of one person or by a group of Informant Prosecutors who will need to sign the document. The document can be taken to court for a hearing or it can be sent in by mail. There are no costs involved in this, the signatories do not need to appear in court and only need to sincerely believe that the particulars in the Criminal Information are true to the best of their knowledge. You will need to telephone or visit the court to find out how and when you can appear before magistrates to present your ‘information’ or for an address to send it to by post or you could appear as a large crowd and hand it in publicly and take photos of you doing this for press and our web-site. When submitting the ‘Criminal Information’ the group will also submit some basic outline evidence of the crime (called prima facie evidence) to indicate there is evidence that will be forthcoming once the case is initiated – see the documents at Evidence and especially the summary at Summary of Prosecutor’s Evidence and other Materials. Also, the group will suggest that the Justices’ Clerk and the Magistrates send a letter to the Attorney General. This is already prepared as an example of what the court may wish to say to the Attorney General and can be personalised and then handed to the Justices’ Clerk/Legal Assistant (see doc-3-letter-to-the-attorney-general-for-the-court-to-send-new). Send in your report of your experiences to Angie at reforest@gn.apc.org and copy it to picat@tridentploughshares.org so it can be put on the website to join others so that we all know how other groups have been doing. Please keep us informed about any developments. Following the results of the information-layings and the responses of the various courts, we will all be in touch to decide on our next steps. Note: the Documents referred to are included as PDF but also as Word documents so as to be open to customising by participating groups .